Librarians will gladly answer your questions and work with you to find the information you need. 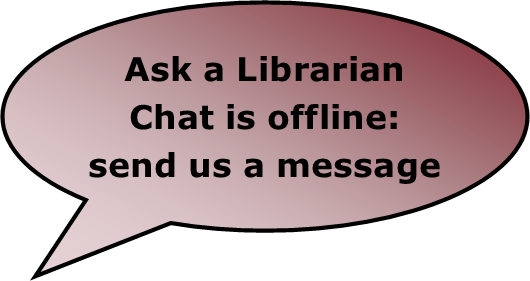 Chat with a librarian online using our Chat Reference Service, available whenever the Research Help Desk is open. To make an appointment with a librarian, see the list of Subject Librarians on this page.